Made of durable, crushed nylon fabric. 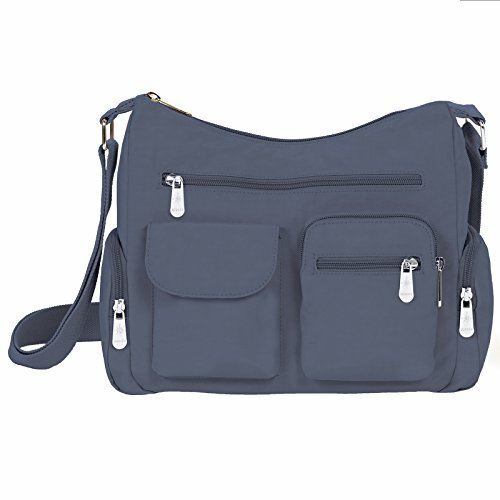 Features multiple pockets for organization and silver nickel hardware. Interior: One zip pocket. Multiple credit card slots. Pen holder loop. Interior lining is Mondo Signature Map print. Tonal web strap is 1.5" in width and adjusts from 30" to 58" when extended. If you have any questions about this product by Mondo Handbags, contact us by completing and submitting the form below. If you are looking for a specif part number, please include it with your message.